An Engine Shed was first established at Oxenholme in the 1840s when the line first opened. 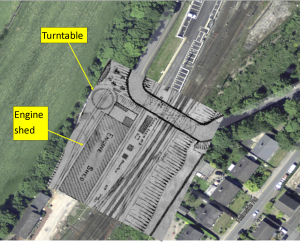 The four road Engine Shed was built in 1880 when the station was rebuilt. Its roof was replaced in 1938. The old slates were advertised in the local press. The four road Engine Shed is pictured above looking north to the Kendal to New Hutton road bridge with the water tank and coal stage in the left foreground. Just under the bridge, the LMS Oxenholme No. 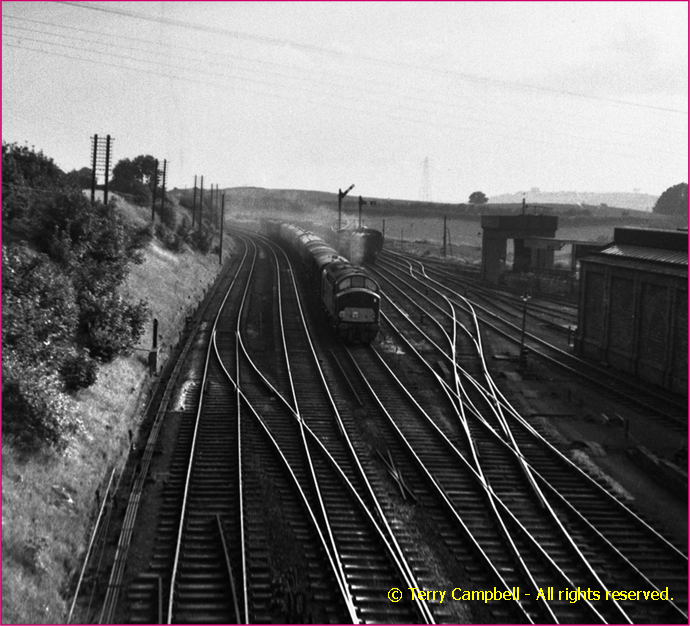 2 Signalbox can be spotted. The former LNWR Oxenholme No. 2 Signalbox used to be postioned behind the Engine Shed and was raised to give the signalman a clear view of the south end of Oxenholme Station. Mr Collins was Shedmaster until 1915 when Mr Bunner took over. 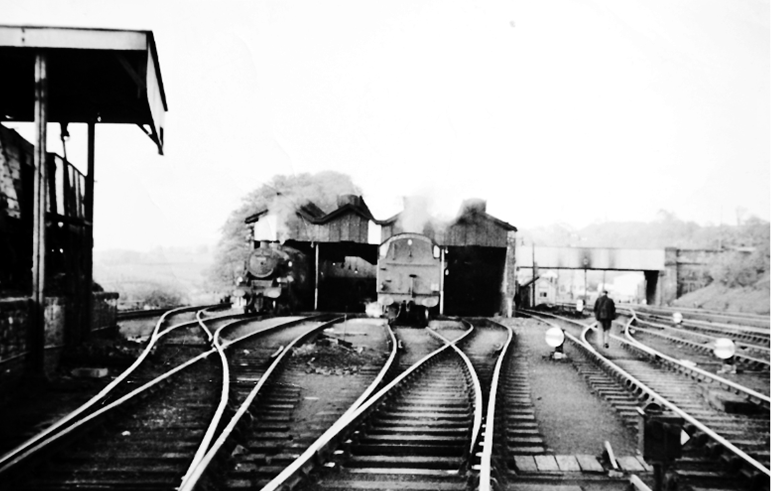 The picture below shows the Engine Shed in 1962 not long before closure. The Shedmaster in the early 1960’s was W. Walker who, aged just 23, took over from Acting Shedmaster Joe Mitchell, a driver in his fifties who then acted as W. Walker’s deputy. At that time there were 50 men and 12 engines. 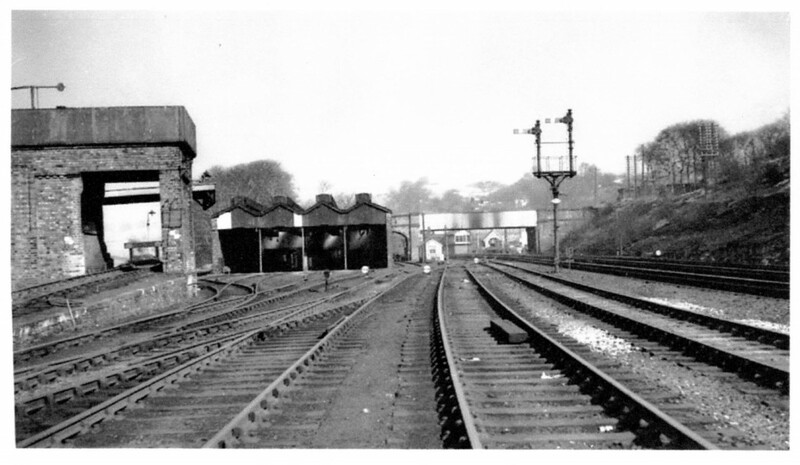 The Engine Shed closed in July 1962. D216 Campania passing the closed Oxenholme Engine Shed on 23 May 1964. Reproduced by kind permission of Terry Campbell.